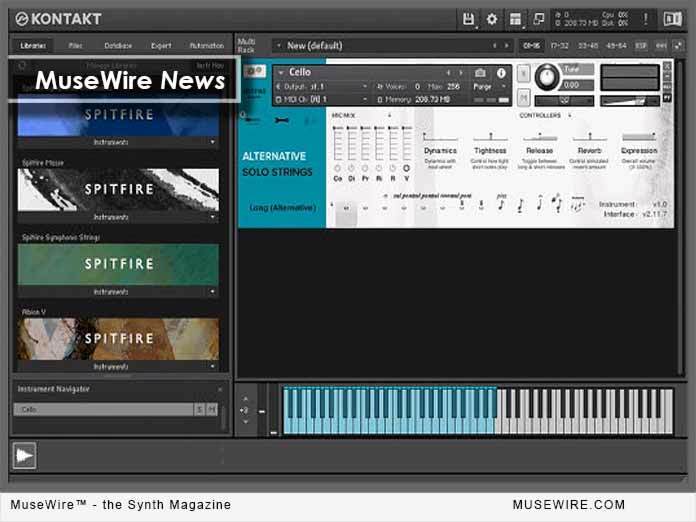 Spitfire Audio recently announced their new virtual instrument and scoring library ALTERNATIVE SOLO STRINGS — an “alternative take on a sampled solo strings library” putting performances of four of the most interesting and progressive string soloists in London into an easy-to-use tool to access Violin (Warren Zielinski), Viola (Joel Hunter), Cello (Chris Worsey), and Double Bass (Mary Scully). The musicians that Spitfire Audio chose to work with when creatively crafting ALTERNATIVE SOLO STRINGS represent some of the most in-demand players on the London orchestral session circuit; collaborating with many of the biggest recording artists in the world to Oscar award-winning movie score performances. Violinist and musician Warren Zielinski, award-winning viola player Joel Hunter, professional cellist Chris Worsey, and leading UK double-bass player Mary Scully take some surpassing, having amassed an amazing collection of ‘onscreen’ collective credits between them, including: Captain America (Henry Jackman), Fantastic Beasts And Where To Find Them (James Newton Howard), Victoria & Abdul (Thomas Newman), Jason Bourne (David Buckley/John Powell), Interstellar (Hans Zimmer), Sherlock Holmes: A Game Of Shadows (Hans Zimmer), Inception (Hans Zimmer), Tinker Tailor Soldier Spy (Alberto Iglesias), The Twilight Saga (Carter Burwell), Batman Begins (Hans Zimmer/ James Newton Howard), Gladiator (Hans Zimmer/Lisa Gerrard), Lord Of The Rings: The Fellowship Of The Rings (Howard Shore). Meanwhile, musically Nick Cave, Daft Punk, Mark Ronson, UNKLE, Badly Drawn Boy, U2, Goldfrapp, Joni Mitchell, Max Richter, The Divine Comedy, and Christine and the Queens have all benefited from the aforesaid players’ perfect performance touch(es). The library works with the Native Instruments KONTAKT platform and became available as of Feb. 15, 2018. The library is NKS compatible and includes 6 mic positions. MAC SYSTEM REQUIREMENTS: Mac OS X 10.10, 10.11 or macOS 10.12 (latest update), Intel Core 2 Duo. PC SYSTEM REQUIREMENTS: Windows 7, Windows 8, or Windows 10 (latest Service Pack, 32/64-bit) Intel Core 2 Duo or AMD Athlon 64 X2. KONTAKT VERSION REQUIREMENTS: Kontakt or Kontakt Player 5.6.8 or higher (FREE KONTAKT PLAYER INCLUDED). This version of news first appeared on MuseWire.com – © 2018 Christopher Simmons.